This time line charts significant events since the publication of the Cochrane review on neuraminidase inhibitors. The main actors of the timeline are the same as those in the original story: Cochrane, academics funded by industry, industry itself, the media and public health bodies. The idea of the timeline came in the preparation to Tom Jefferson’s talk “diary of a tamiflu research parasite” which he held during Evidence Live 2016. Michael McCarthy: What makes an essential medicine? WHO’s new list focuses on antibiotic resistance, adds expensive drugs, and downgrades Tamiflu…. Jones M, Fowler R. Immortal time bias in observational studies of time-to-event outcomes. “For instance, previous reports involving rofecoxib and oseltamivir illustrate the problem of incomplete or misleading reporting of clinical trial data”…. Series of responses to Dobson et al meta-analyses of individual patient published in the Lancet including concerns over the methods…. Roche funded IPD meta-analysis (Dobson et al) published in Lancet – covering editorial refers to as “independent”. The first Cochrane review to be based exclusively on regulatory data. 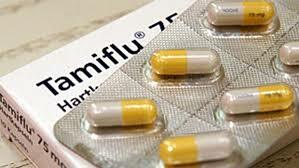 We now know the government’s Tamiflu stockpile wouldn’t have done us much good in the event of a flu epidemic…. 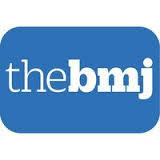 BMJ publications, with linked analysis and editorials published. Heneghan CJ, Onakpoya I, Thompson M, Spencer EA, Jones M, Jefferson T….